Physician’s assistant Annie Marlow, happy with her life and job in southern California, feels guilty when her mother pleads with her to come home for Thanksgiving. Given a four-day weekend, she wants to spend the time with her friends and cousin, Gabby, who is flying in to join her. Annie loves her family and looks forward to being with her parents, brother, sister-in-law, and their toddler daughter, though she plans to be with them during her December break. Imagine her horror and shock when she learns her family's home near Seattle is swept away in a mudslide early Thanksgiving morning and all five inside perish. Annie realizes if she were there, she too, would have died, and now she is plagued with survivor's guilt. This loss takes a tremendous toll on her emotions and for 16 months she wallows in depression and self-pity. The only ones left are Gabby, her mom, and her aunt Sherry. Worried about her, Sherry and Gabby push her to move on. No longer wanting to go back to her Los Angeles job, she remembers the summers when she was young and they rented a cottage in Oceanside. She impulsively drives there and she sees a job posted at the local clinic, for which she submits her resume believing when she is hired this is where she is meant to be. She moves there looking to rent the little house they stayed in for many years. Unfortunately, it along with the main house is in disrepair, but Annie is determined. When she informs the real estate agent of her desire for the house, she is dissuaded, but a guy painting the office overhears her request and tells her he'll talk to the owner, Mellie Johnson. This is a woman Annie's brother had crushed on while they were on vacation, but who is now a recluse. Somehow this strapping, yet handsome man, Seth Keaton, convinces Mellie to give Annie a year's lease. "Mellie has been unwilling to rent out the cottage, but eventually she'd relented. Mellie depended on him [Keaton]. He'd never asked her for anything . . . he was asking now and he wasn't taking no for an answer. He made sure renting the cottage to Annie was important to him. Naturally, being Mellie, she had a list of requirements." Thrilled and awestruck by Keaton, a man of very few words, Annie and he become friends. Annie settles in, realizing she is where she is supposed to be. Though she still carries a heavy burden of grief, she discovers she's not the only one. Keaton and Mellie both have hurtful scars they hide behind their façade, scars Annie hopes to heal. As a closeness forms, Annie finds herself falling for Keaton, unknowing he has loved her since the first time he saw her at age 14. "Keaton didn't know what had brought Annie to Oceanside. All he cared about was that she was back. He'd been given a second chance, and by all that was right, he intended to put this new opportunity to good use." 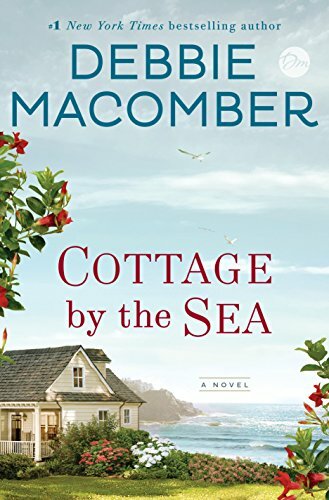 As with all of Debbie Macomber's novels, she delves into the crux of emotion, striving to conclude with a "happy-ever-after," of which she never disappoints. Her well-fleshed characters convey their pain and vulnerability, with which readers will empathize, making for a delightful read.